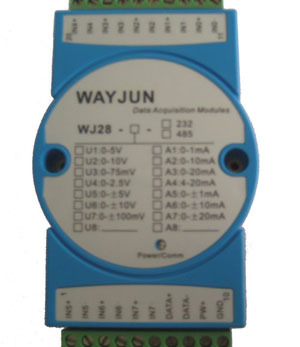 WAYJUN relay module WJ-RELAY01 is the electrical control cabinet of a single small power relay to be integrated, series, reducing the intermediate link, improve the product performance, widely used in DI or DO isolation. The product conforms to the development trend of miniaturization, integration, is a substitute for single relay updates. Also products can be designed according to different numerical control system, but also can meet the needs of modern CNC machine tools. Connect the power supply, when the input IN1 is connected, the corresponding OUT1 is connected; otherwise, when the input IN1 is disconnected, the corresponding OUT1 is disconnected. Similar to other channels.